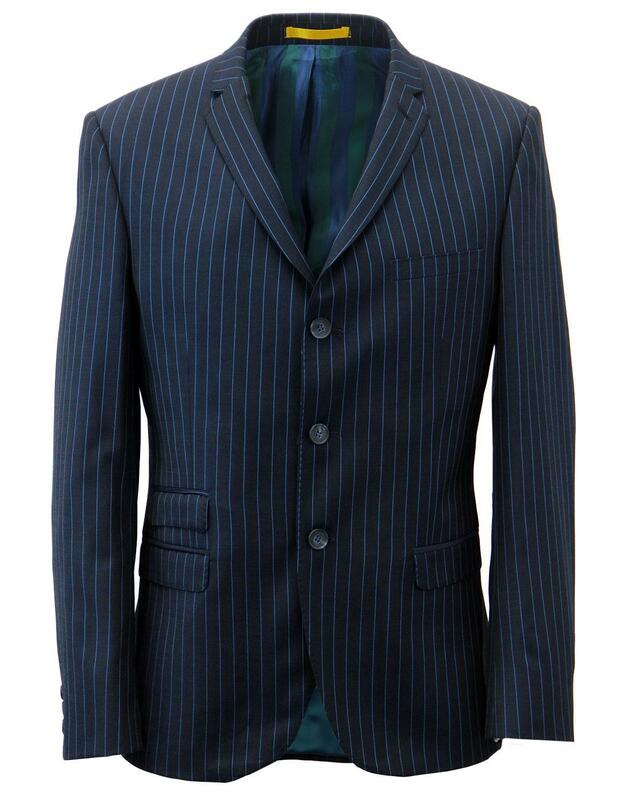 Madcap England 'Electric Pinstripe' Men's Mod 3 button suit jacket in navy. 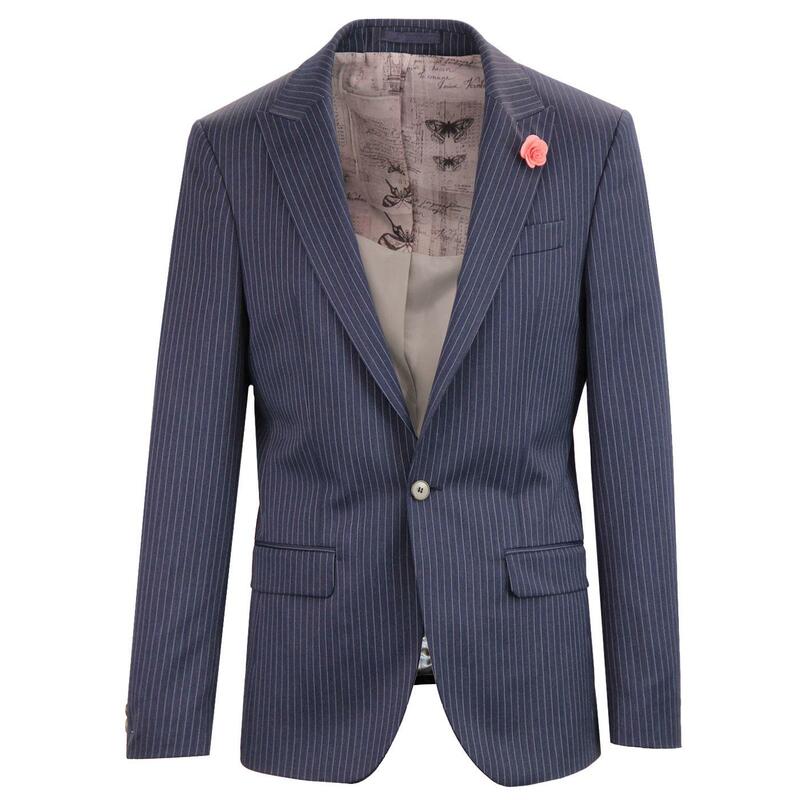 Inspired by classic 1960s Mod style, the Electric Pinstripe blazer by Madcap England incorporates Retro slim notch lapel, right side Mod ticket pocket and two flap side pockets. The left breast pocket can be accentuated by a cool Retro pocket square for that Dandy-esque vibe. 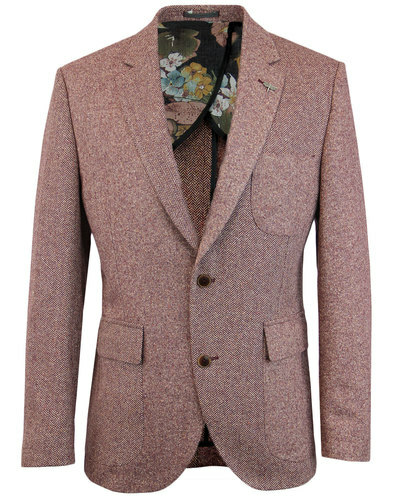 Button hole to notch lapel allows the wearer to accentuate the jacket with a boutonniere on special occasions. The stand out Retro electric blue pinstripe is designed to catch the eye. Slim cut, Vintage marble effect buttons to fastening and non-working cuffs. Side vents, stylish felt under collar trim. The finishing touch is the cool Retro shimmering stripe lining in green which really sets the jacket apart. The interior also features pockets with Retro rust piping trim. Tailored Mod touches pitched with awesome 1920's Gangster styling. 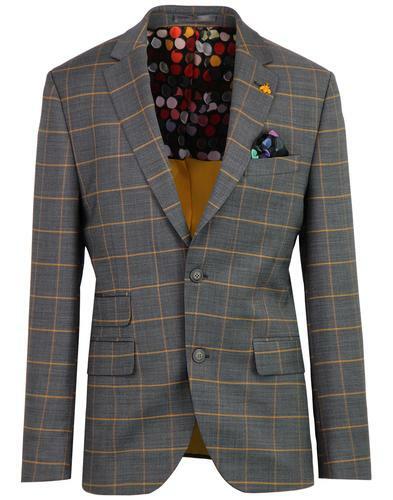 Madcap England's 'Electric Pinstripe' Sixties Mod 3 button wool mix blazer can be worn as either a two piece suit with matching Retro slim leg trousers, or as a three piece with the awesome 1920s inspired lapel waistcoat as well. 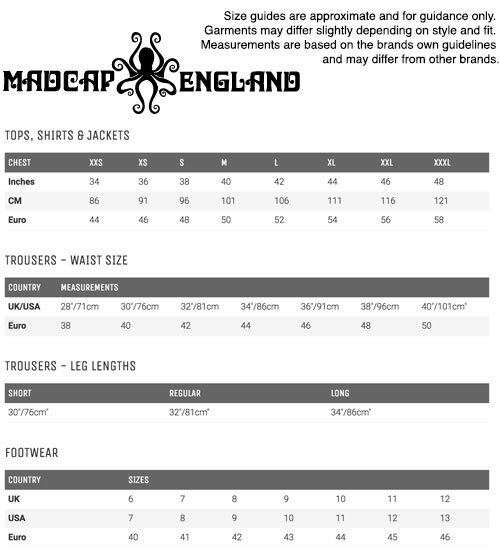 Trousers and waistcoat can be purchased separately. 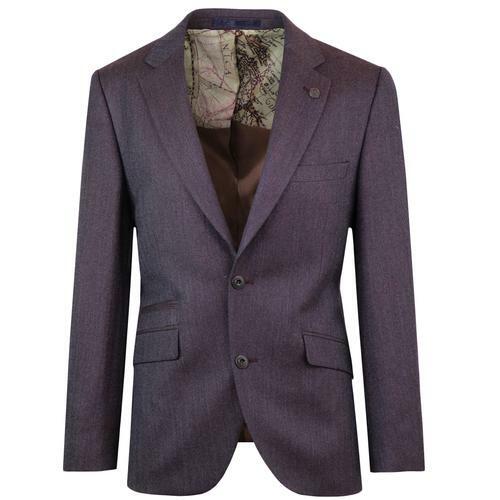 Key Points: Madcap England 'Electric Pinstripe' 3 Button suit blazer with ticket pocket and side vents. Composition: 50% Wool, 50% Polyester. Lining 1: 51% Viscose, 49% Acetate. Lining 2: 50% Viscose, 50% Acetate. Lining 3: 100% Polyester.